By Karrar Haider in Mobile. Updated on December 26, 2018 . Cinemagraphs create GIF animations with small elements that move while the rest of the picture stays static. Being neither a static picture nor a proper animated GIF, a cinemagraph mesmerizes its viewer in mysterious ways. Although you can manually create cinemagraphs, but it would require much practice and expertise if you are using a regular photo editor. However, I know some handy smartphone apps that can help you create amazing cinemagraphs without much effort. Even a novice can download them and start creating cool cinemagraphs. Let’s check out the following collection of 8 of the best cinemagraphs apps for Android and iOS. It may not be the most customizable cinemagraph creating app, but Loopsie definitely supports some of the most powerful features. It creates full HD cinemagraphs, and its built-in stabilizer automatically stabilizes your shaky videos. I also liked that Loopsie lets you create cinemagraphs in both repeat and bounce manners. Therefore, you can either make the video repeat from start after finishing or play it backward instead. 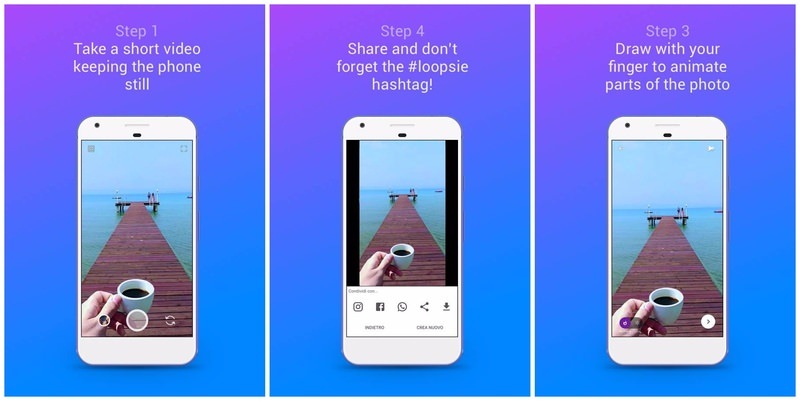 In the free version, Loopsie’s watermark will be added to all of your cinemagraphs, but you can remove it with a $1.99 in-app purchase. Cinemagraph Pro by Flixel is the go-to app for many professional photographers thanks to its amazing customization options and easy to use interface. You can create cinemagraphs out of both still images and videos, and it also has support for repeat and bounce style with adjustable speed. The only problem with Cinemagraph Pro is its $200/ year price tag. Though it can be used for free if you don’t mind the watermark and lower video quality, but for professional use, you’ll have to buy the full package worth $200 annually. The package contains fully featured Cinemagraph Pro app and Flixel cloud service. 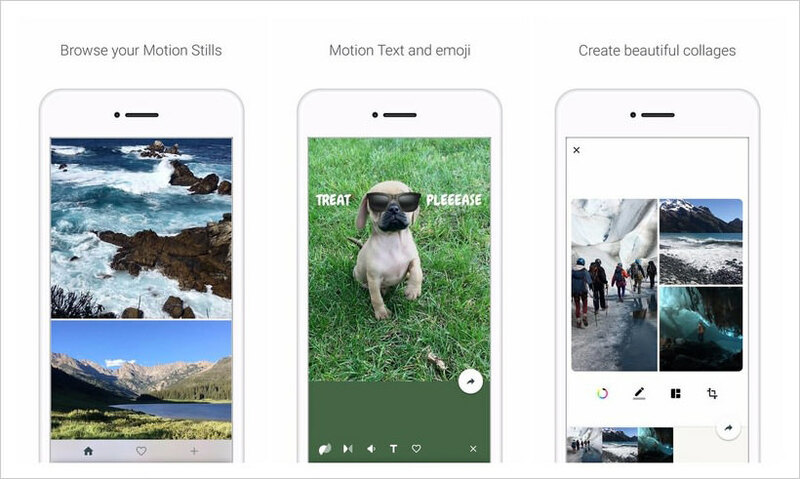 Created by Google, Motion Stills lets you create both cinemagraphs and time-lapse videos. However, it’s very basic and there are hardly any additional editing tools. Nevertheless, it’s video stabilizing feature is definitely worth trying. The app will let you create a looping 3-second video using its amazing stabilizer to ensure it looks like a still image. You won’t find any editing features, but you can still join clips to create a movie. With PICOO Camera, you just select an area on the screen that you want to animate and then shoot the video for an amazing cinemagraph. You can either use square or circle pattern to select the area or draw a custom area with your finger. Agreed, that the result may not be perfect in some situations, but PICOO Camera does a fine job in most cases. 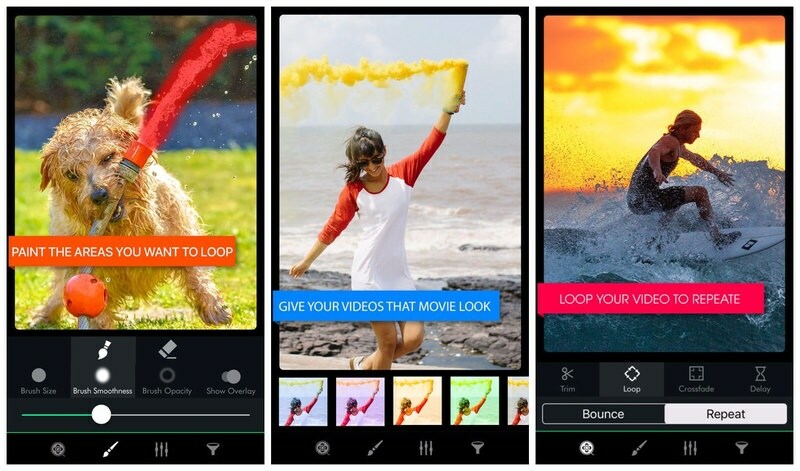 On top of that, it also comes with filters to further beautify your cinemagraphs. It’s basically a cinemagraphs converter app that turns your existing videos into mysterious cinemagraphs. You just have to highlight all the areas you want to animate and the rest will become a still image, creating a perfect cinemagraph. This type of approach is actually better than directly shooting cinemagraph videos as you have more control over what to animate and won’t have to worry about changes in the scene. To top it off, MaskArt also lets you add a custom photo right on the cinemagraph, giving you more customization options. 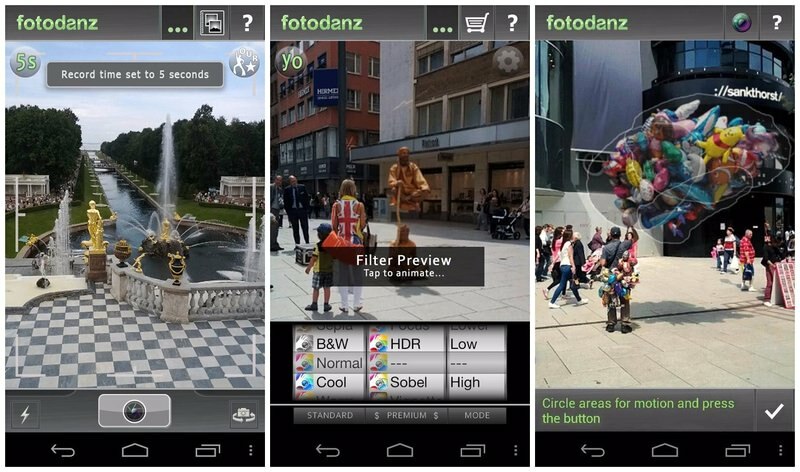 Although fotodanz developers stopped managing it some time ago, but just a few months back they’ve started working on it and its again ready for show time. It follows a similar approach to MaskArt, you’ll just need to shoot a video (from fotodanz app) and highlight the area you want to animate. Unfortunately, you can only shoot videos up to 5 seconds, but for cinemagraphs it’s more than enough. It also gives you control of loop styles, adjust length and speed, rotate image, and add filters. Creating cinemagraphs is free, but you’ll have to make an in-app purchase to access the advanced filters. For a rather long and complicated name, this is actually a very easy to use app. You just have to upload your video and draw the frame that you want to animate. 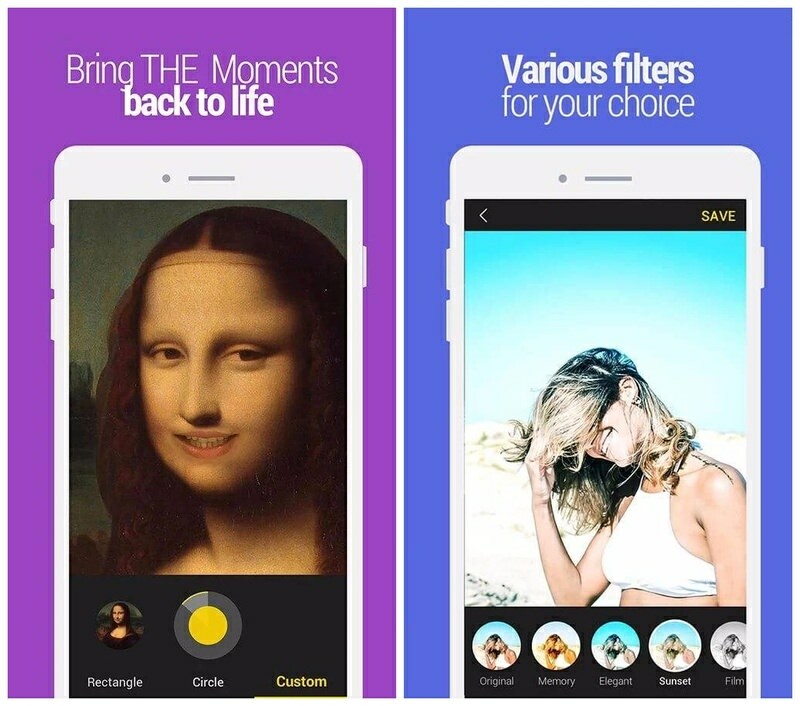 Afterward, apply some filters if you like and save the cinemagraph to your phone or directly share it. The app does add its watermark on all of the cinemagraphs created, but you can remove it with a $1.99 in-app purchase. 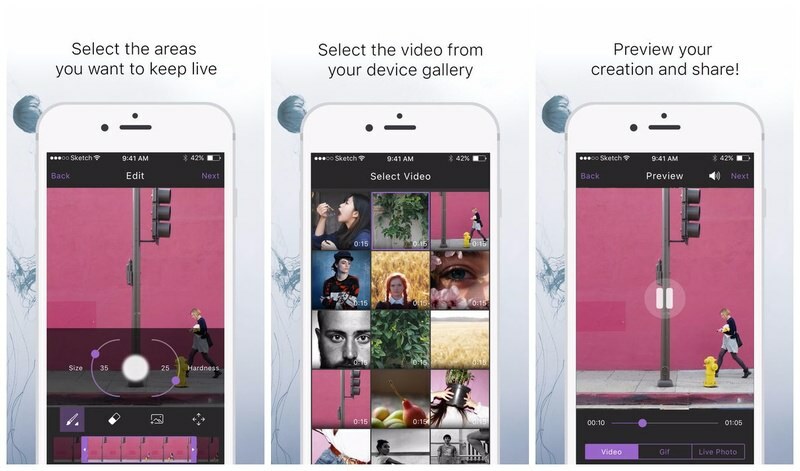 It’s a reliable app for creating cinemagraphs, but doesn’t come with a stabilizer. Therefore, you’ll have to either use a smartphone Tripod or make sure you have some kind of support so you won’t make a shaky video. Similar to other apps in this list, you’ll have to draw an area that you want to animate and then shoot the video. 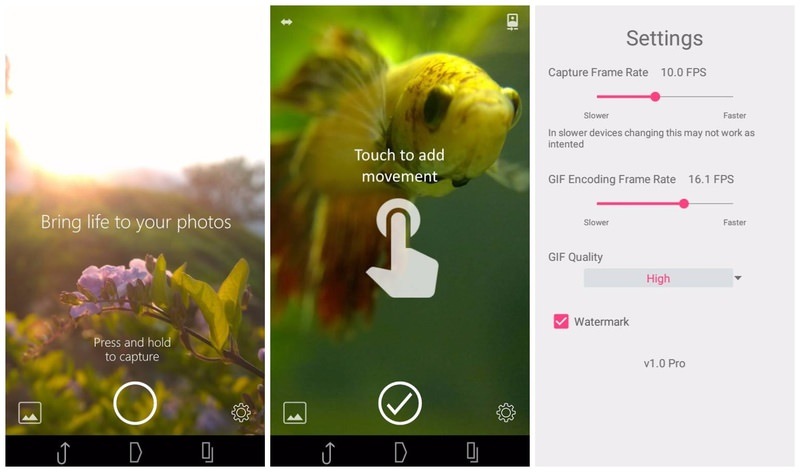 Interestingly, Cinemagraph app lets you edit your cinemagraph frame-by-frame. You can add multiple types of filters and customize animation in every frame. You can also tap on the focus object to quickly create a cinemagraph out of a focused item. Ready to create some cinemagraphs? 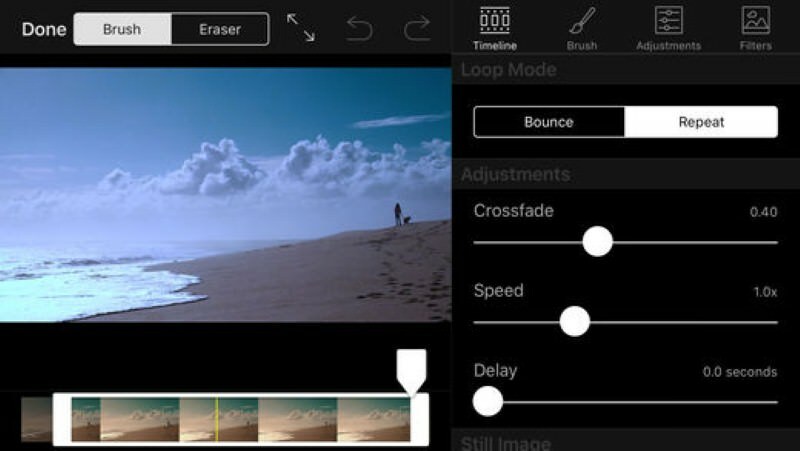 All of these apps let you create cinemagraphs for free. However, some of them either add a watermark or offer lower quality video in free versions. In my views, Cinemagraph Pro is definitely the most powerful app in this list, but only professional photographers should go for it’s expensive paid version. For regular users, PICOO Camera and MaskArt are great options.